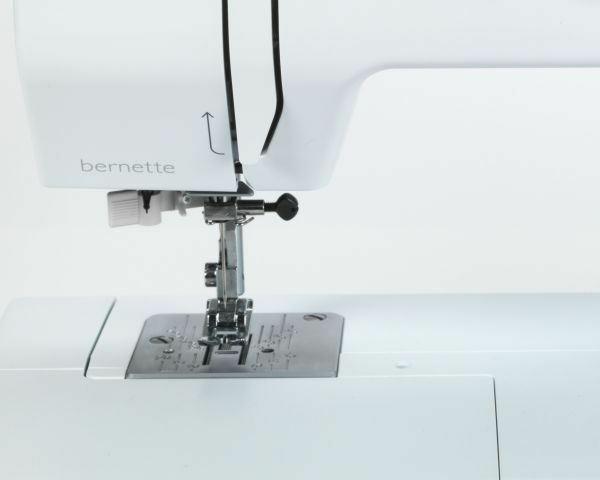 With the Bernette 35, it is quick and easy to include buttonholes in your sewing project. You don't have to lift the needle or change the setting on your machine. 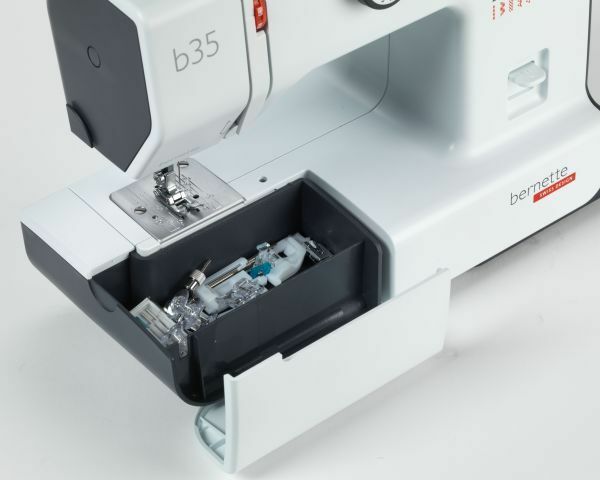 Your sewing machine will sew all four steps of the buttonhole automatically. 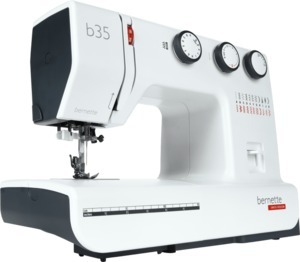 In addition to the 1-step buttonhole function and the 23 utility and decorative stitches, the Bernette 35 also has a manual needle threader and a manual thread cutter. 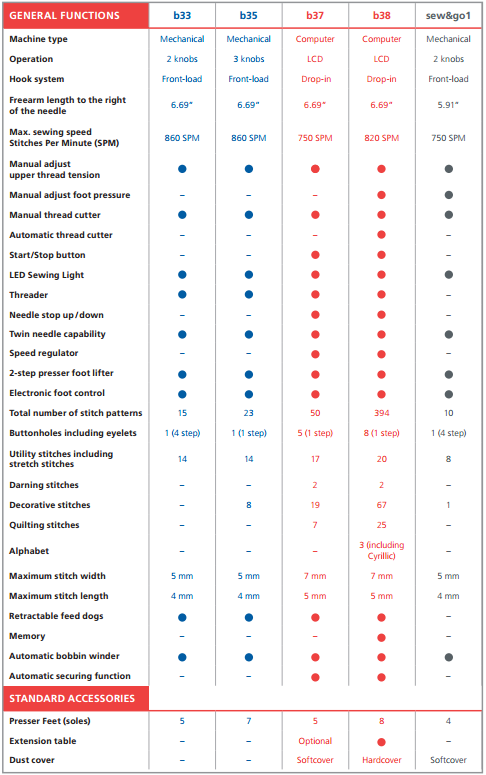 These functions make your sewing faster and more efficient. 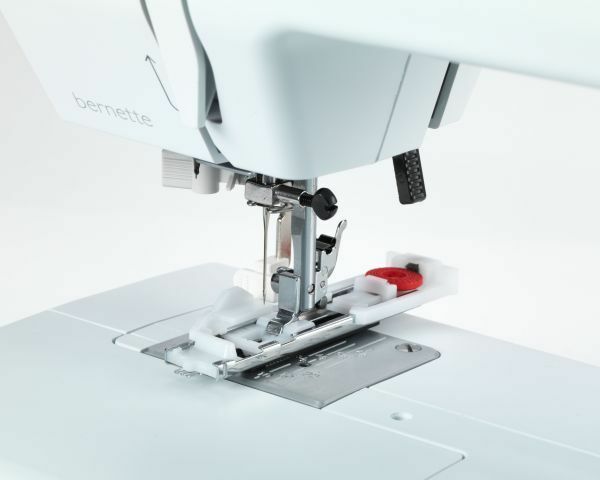 The accessory box of your Bernette 35 provides plenty of storage space for sewing utensils, such as bobbins, cleaning brushes, presser feet and threads. With your Bernette 35 you get seven presser feet soles and a stable presser foot shank. You can select the appropriate presser foot for whatever you want to sew. For example, you can choose the zigzag foot for zigzag stitches, the relevant satin foot for your satin stitches and the buttonhole foot for your buttonholes. With the appropriate feet, you can accomplish your sewing projects quickly and with excellent stitch quality. The 2-step presser foot lift offers the advantage of making it possible to sew several layers of fabric with ease. This is especially useful if you need to sew thicker or quilted fabrics or several layers of denim. 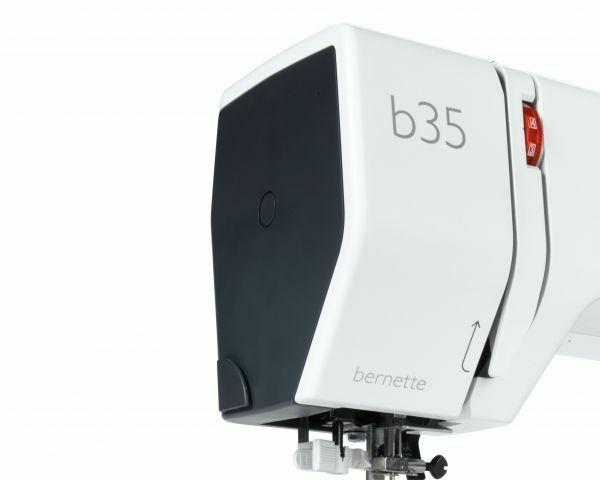 The high piercing power of the Bernette 35 allows you to work on a wide range of materials, from fine materials through to heavy textiles. Have used AllBrands in the past and once again was NOT disappointed by service. Will continue to purchase all sewing equipment and related items from them. Only wish I lived closer to take advantage of in house services (classes, etc). Thanks again!